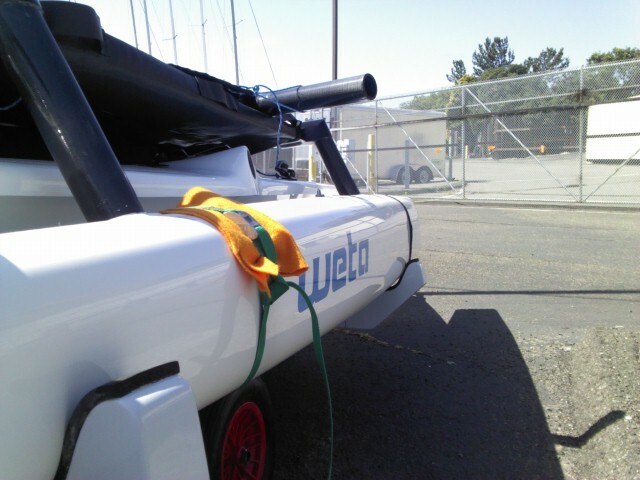 With the switch to manufacturing the Weta by Xtreme Sailing Products (XSP) based in Singapore, Weta Marine has taken the opportunity to revise the Weta Trimaran. 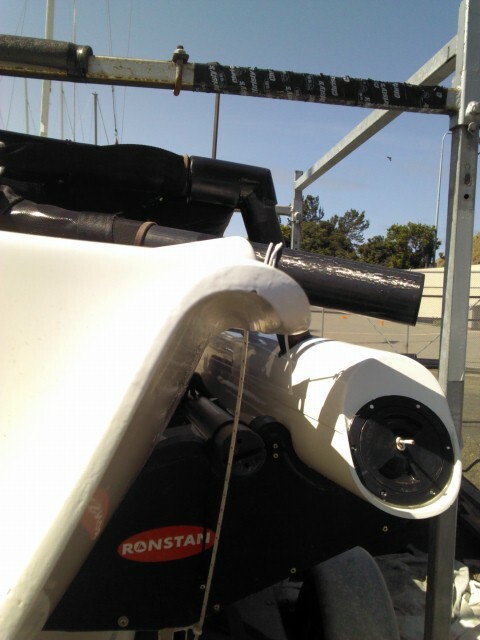 The design footprint is unchanged and the ‘one design’ rule will remain in place, but new moulds and construction techniques give the 2015 Weta a tighter, better quality build. 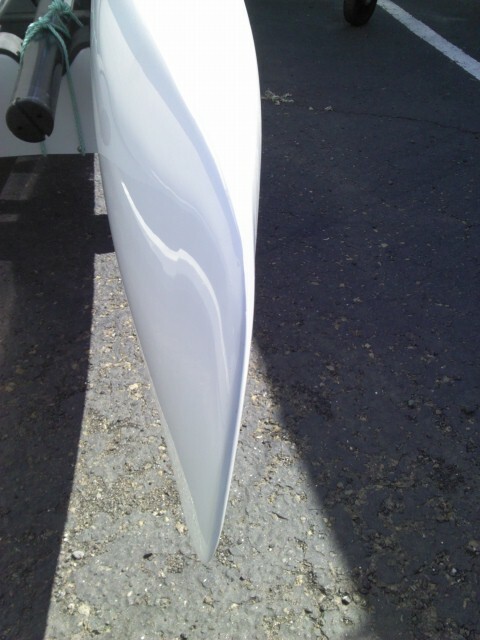 Hull to deck joint on the new model is distinctly beefier. 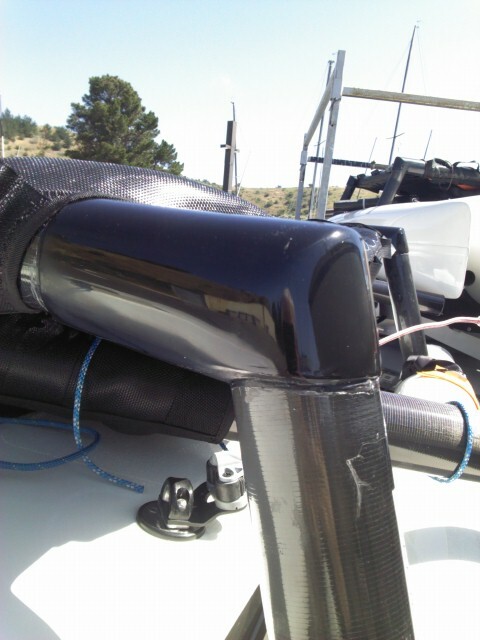 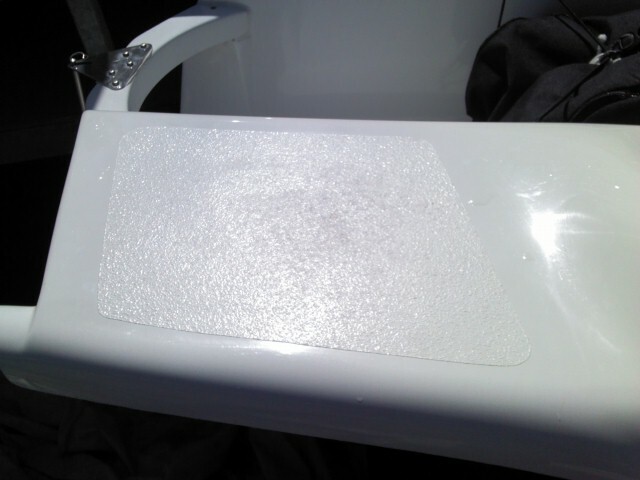 Lip has been removed from end of floats so ports are now flush. 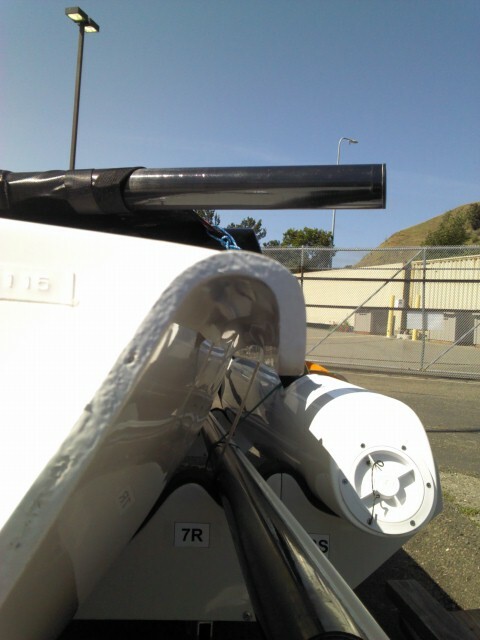 Bow is blunter with a larger overhang – bowsprit and bowsprit hole are identical in new and old boats. 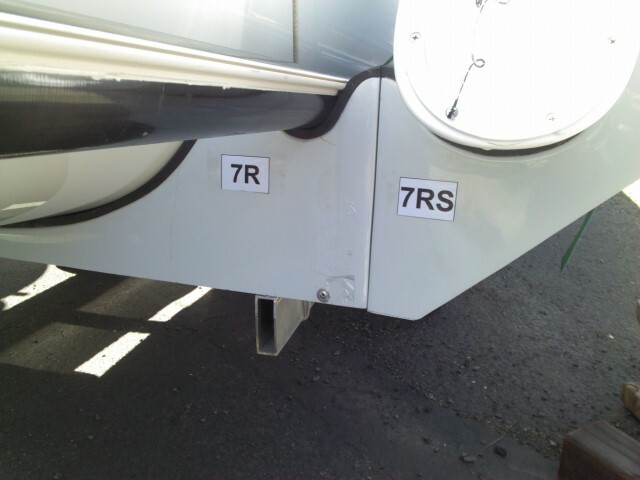 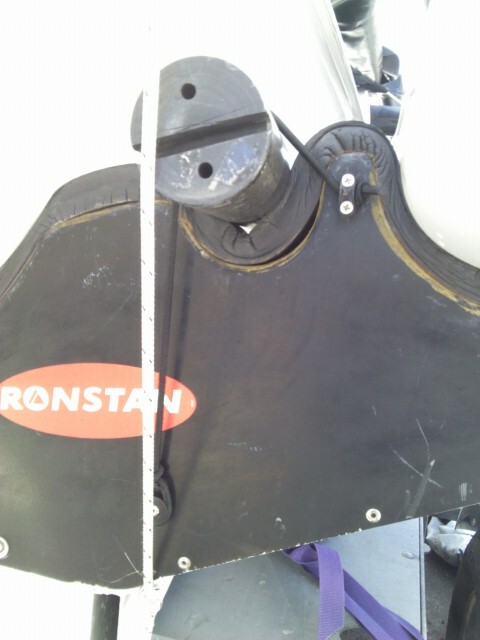 Rudder transom bar is a separate piece glued and screwed into place onto supports at either side of the cockpit whereas the old version was integrated into the deck mould by hand. 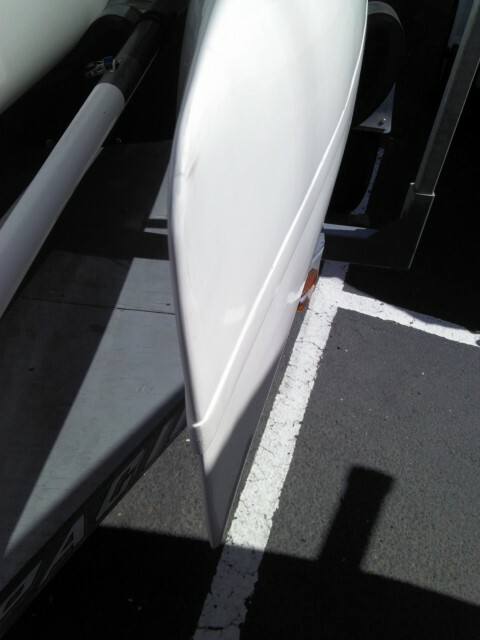 New rudder gudgeons are triangular and therefore stronger. 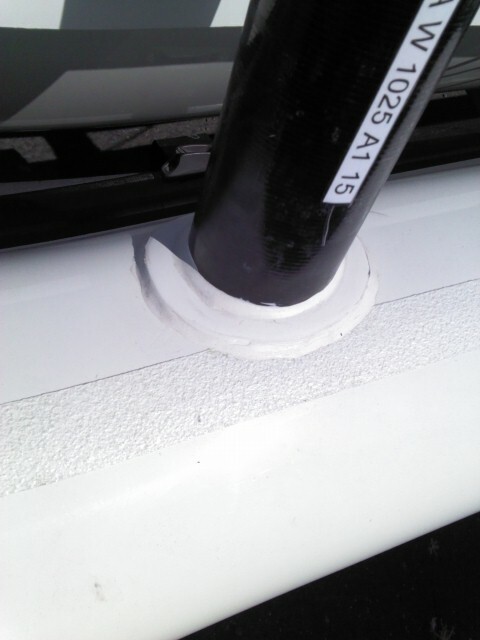 Float attachment point is different with sealing done using a soft compound and a reinforcement pad. 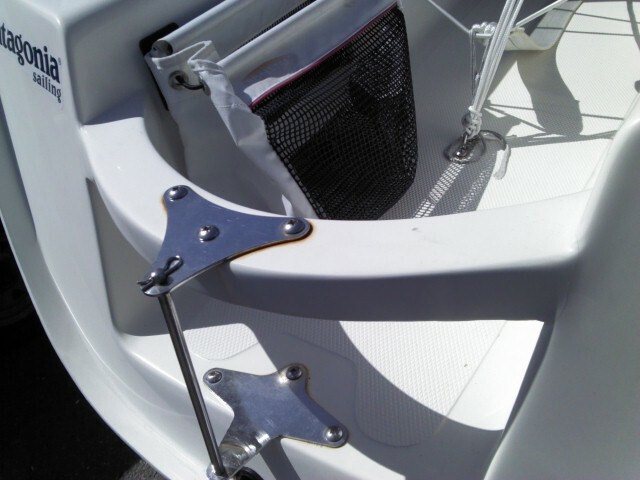 Floats now have vertical joints hidden under non-skid with much more fair finish. 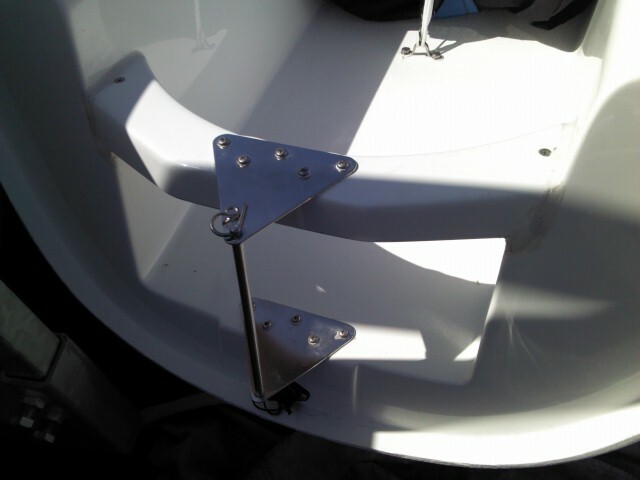 Launch trolley structure has been changed and beefed up. 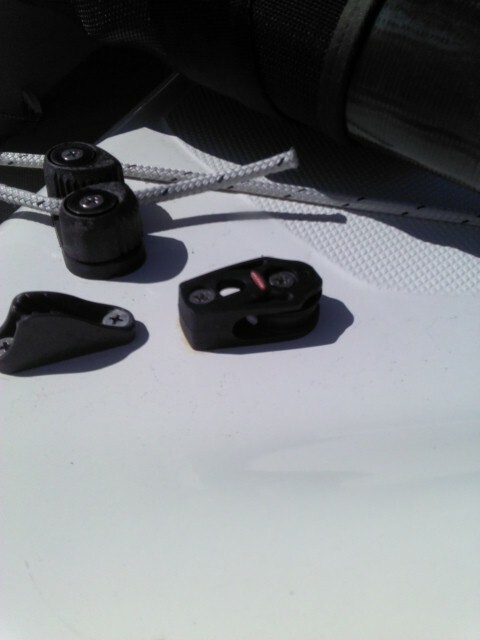 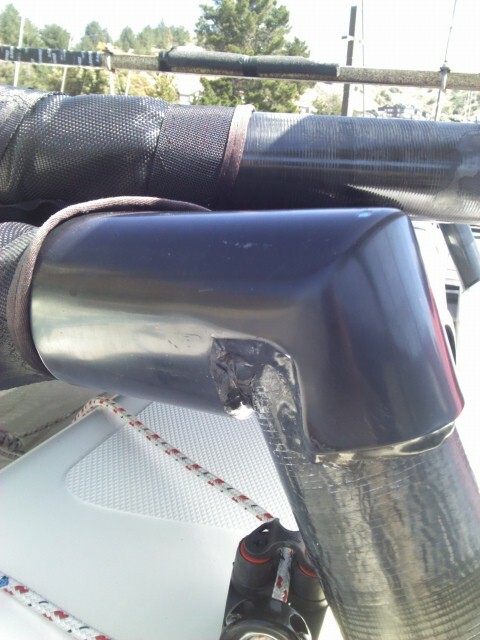 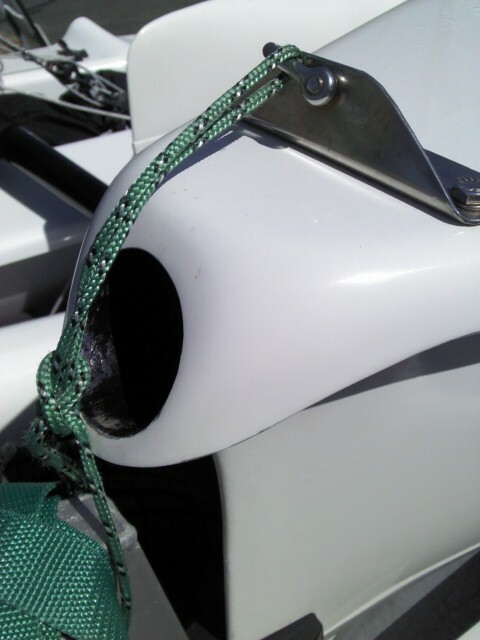 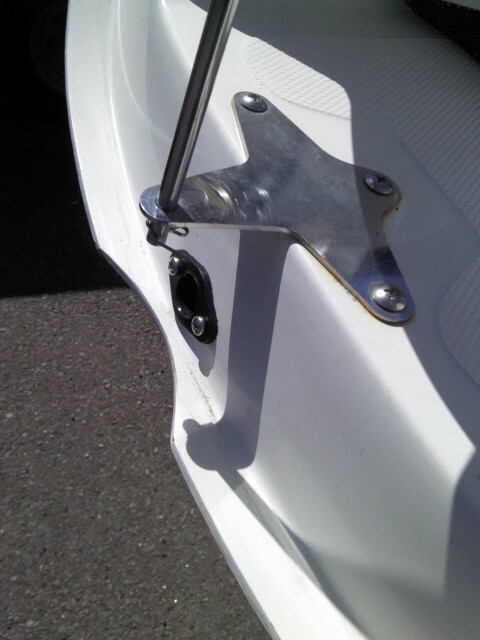 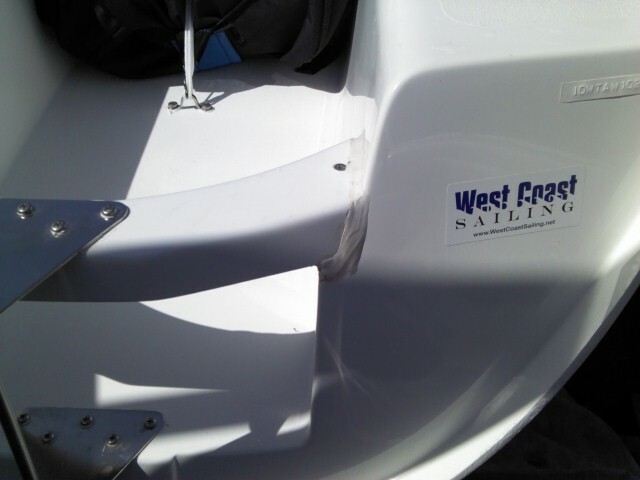 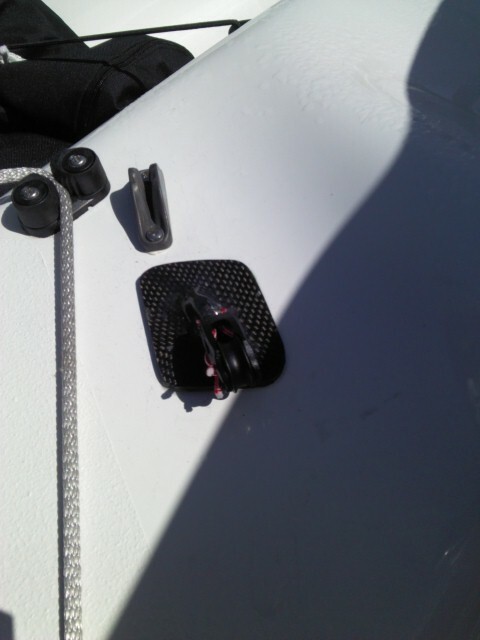 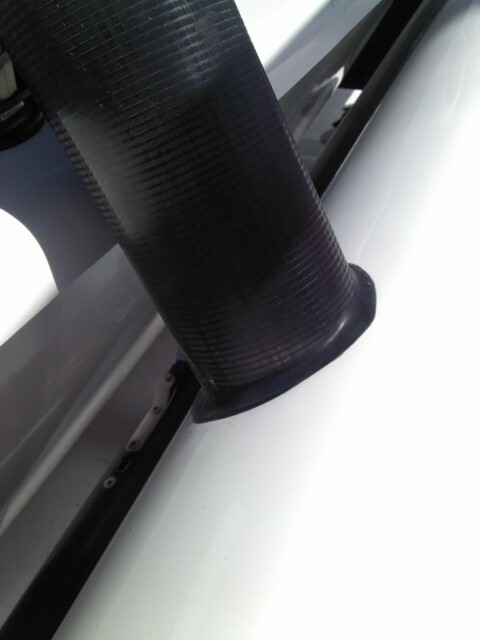 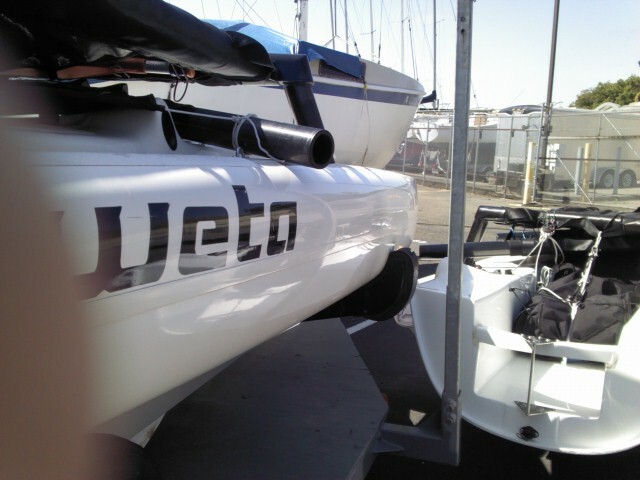 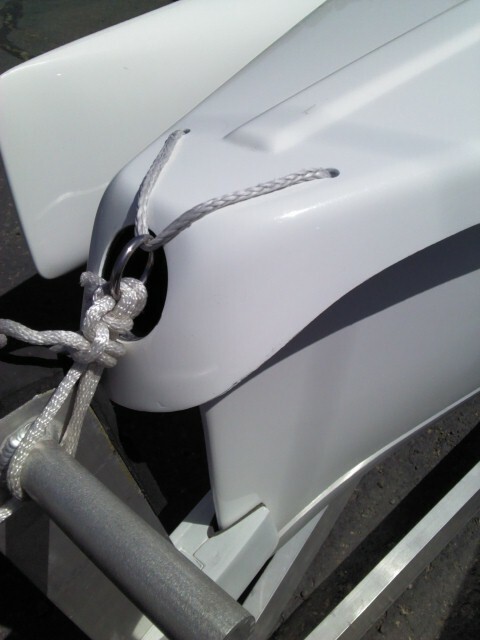 The “notch” in the stern lip has been removed just behind the drain plug. 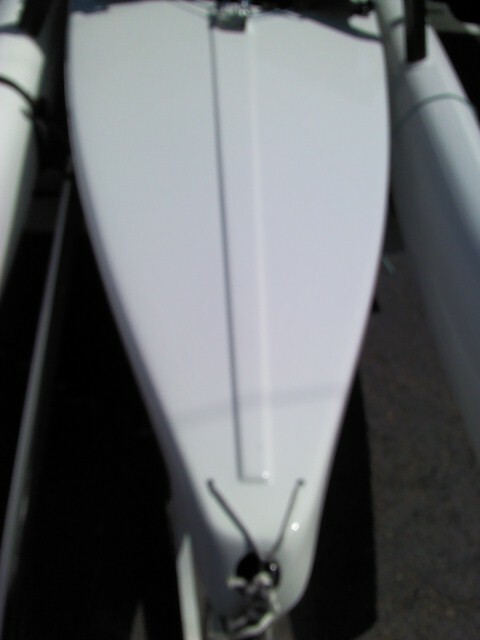 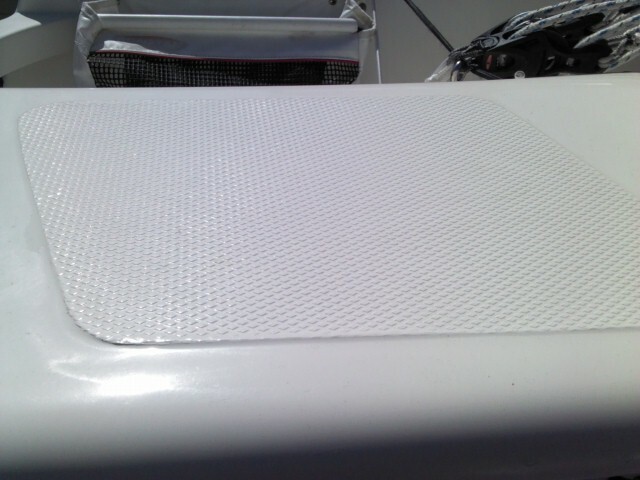 The foredeck now has a rib for added stiffness.